You can now officially say that you've had a shower beer everyday, or at least soaked one up through your skin while in the shower. 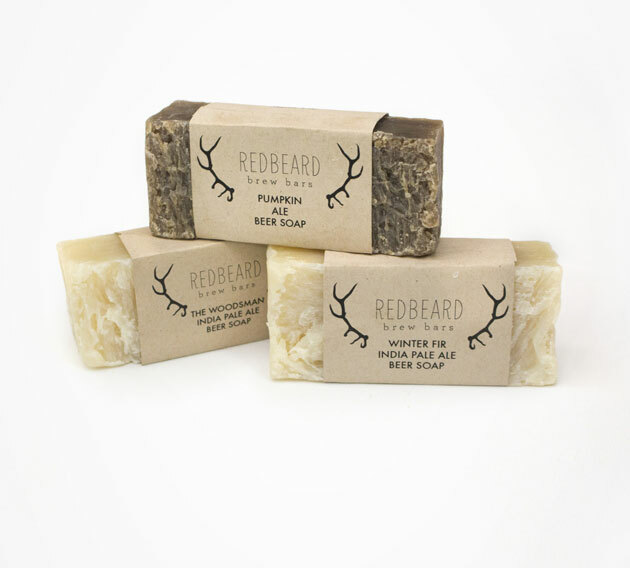 These Brew Soap Bars are made from actual beer, along with the same ingredients you'll find in beer, including hop oils, leaves, and fragrances. 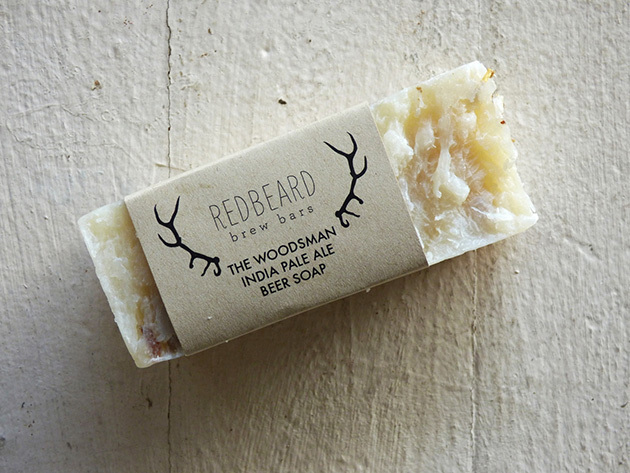 The beer soap bars come with three delicious and cleanly flavors/scents including Pumpkin Ale, Winter Fir India Pale Ale, and the Woodsman India Pale Ale. A perfect gift idea for any beer connoisseur, beer craftsman, or just someone who desperately needs a shower using the power of beer to clean their body. 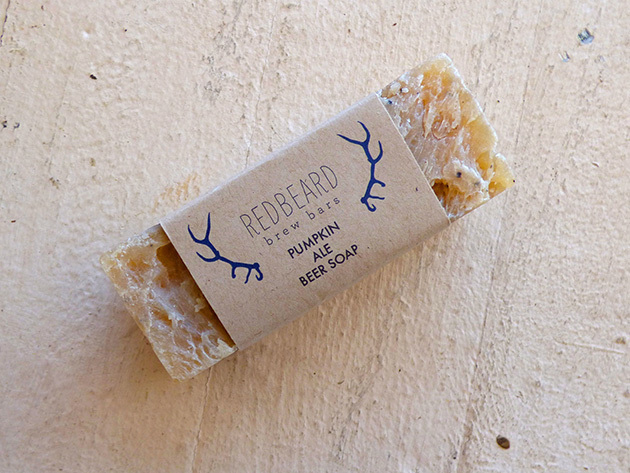 The Pumpkin Ale soap bar is crafted with Pumpkin Ale and coffee extracts for a harvest-fresh scent (ingredients include: saponified olive oil, coconut oil, avocado oil, home-brewed pumpkin ale, water, essential oils for fragrance, ground coffee), the Woodsman IPA Brew Bar is made with rosemary and cedarwood which makes for a woodsy, earthy, yet ever-so manly scent (ingredients include: saponified olive oil, coconut oil, avocado oil, home-brewed India pale ale, water, essential oils for fragrance, hop leaves), and the Winter Fir IPA beer bar soap gives off a hint of hops, which pretty much every IPA does (ingredients include: olive oil, coconut oil, home-brewed India pale ale, water, essential oils). 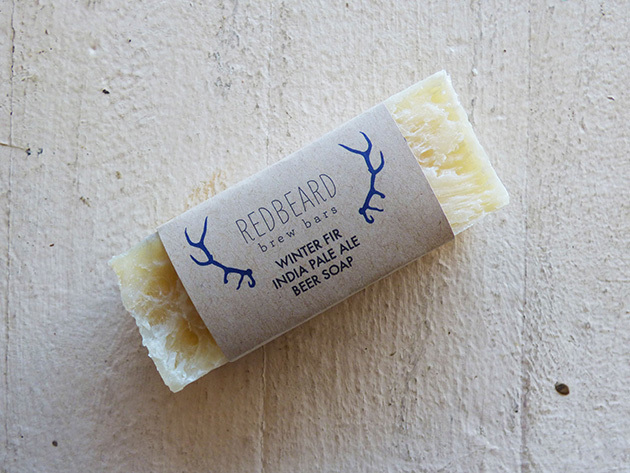 The brew bar soap pack includes all three of the mentioned soap bars, come wrapped with a label explaining what type of beer soap it is, each bar weighs 4 oz, each bar is hand crafted so each one will have it's own unique look, and if you use a draining soap dish each beer soap bar will last for weeks, just avoid letting it sit in puddles or it will turn into a mushy glob of delicious soapy beer.